I’m going to try it again without word verification. I hope it works out. It works out beautifully, like the dishes. I have enjoyed this series of posts so much. Lovely photographs and interesting posts. There’s a great meadery here, just outside of Victoria. Tugwell Creek, it’s called…I love mead. And I MISS the MOA, what a beautiful display, and that tapestry is amazing! What a wonderful set of posts. The ceramics are marvellous. Not a big mead fan though! What I liked about mead back in the days when I still drank, was that it smelled like honey and honey is one of my favorite substances. I’m very partial to Lindisfarne Mead. Those plates are too pretty to eat from. I couldn’t put them in the dishwasher. I did enjoy them all. Love that tapestry. the flower accents are so pretty. I did have some really nasty spam so had to use it for a while but we shall see. It seems mead is everywhere still, but I sure didn’t know that. Thanks, I didn’t think much of mead as drink either. Some seem to like mead, others not but it did indeed smell of honey. 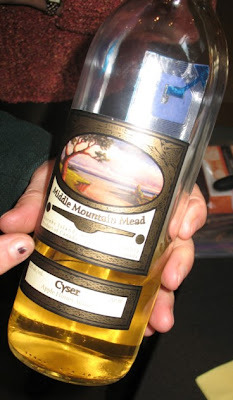 Another mead fan, I see they make it all over. No dishwasher for these so no good to busy people like yourself. Nor me. It does make a difference to food if the plate is nice. Still not the most important thing. No washing plates by hand for me either. 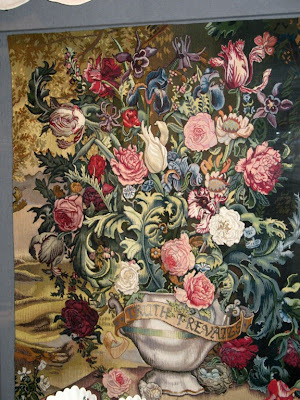 Isn’t the tapestry beautiful? I wonder how long it takes to make. Thank you. The tapestry is the highlight of that display case for me. Welcome and they are pretty as you say. Well I’m sure you have an desire to become rich often, porcelain would be a good use for some of it. Thanks to everyone for commenting and visiting. 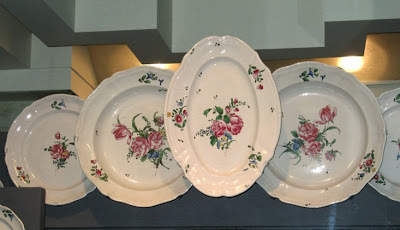 Beautiful plates. How interesting that mead is made there. I especially like the bits you’ve dropped in explaining the origins of phrses. The last china is the prettiest in my eyes. Isn’t it beautiful? You could go see it for yourself since you are so close. It seems mead is made in many places which I did not know before. Thanks, I like to know all this stuff myself so assume you do too. I hope I’m not wrong. I liked all the posts. 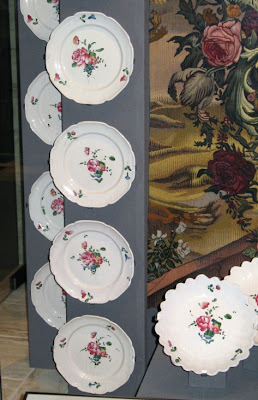 The collection of plates is lovely. The other stuff is also good. 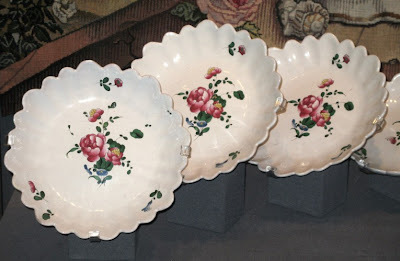 I always look for Decorative Arts online as you can find great art works at a good price.